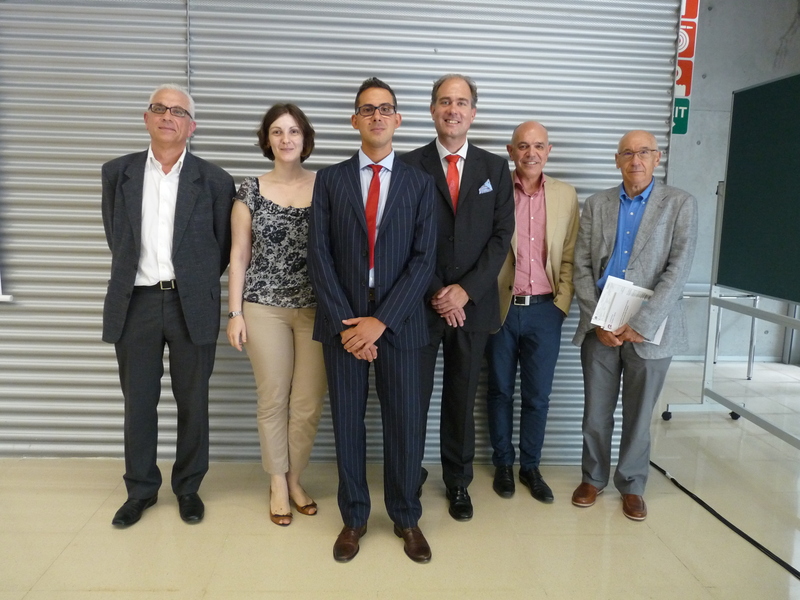 “New Perspectives in Aromatic Using Hypervalent Iodine(III) Reagents” (assigned to the Organic and Analytical Chemistry Department of the Universitat Rovira i Virgili) publicly on July 20th at the ICIQ Auditorium. 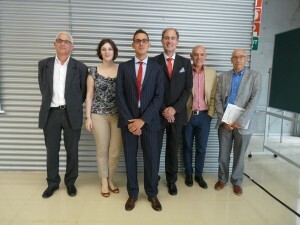 The main objective of this doctoral thesis was the development of new stoichiometric and catalytic methodologies for the metal-free amination of aromatic cores. The first example of reductive elimination at an iodine(III) centre using diaryliodonium salts and imides as nitrogen sources has been reported. The study of the kinetic profile of the transformation allowed the calculation of the energetic parameters, which were in agreement with the experimental data. The developed protocol was of broad scope for the synthesis of congested 2,6-disubstituted anilines, including also amides and lactams as amino coupling partners. The synthetic utility was demonstrated by the two-step-synthesis of an N,N’-diarylated pyrrolidinone carboxamide. This compound belongs to a family of binding inhibitors of the chemo-attractant peptide chemerin to the G-protein coupled receptor ChemR23. The subsequent step in the search for new metal-free approaches was the use of 1,2-diiodobenzene as precatalyst. The mechanism of the reaction, differently to the previous iodonium(III) salts, involved an electrophilic nitrogen intermediate. Interestingly, in sharp contrast with the previous proposals we could proof an active role of both iodine centres in the bis(iodo)arene. This was confirmed by the isolation and characterisation by X-ray diffraction of the oxidised iodine(III) intermediate, which showes a distorted five-membered ring. The exhibited turnover numbers (TON) and the regioselectivities were superior to all the other reported protocols.